Vero, a fairly new social media app, has seen a sudden rise in new users, following the growth of dissatisfaction from existing social networking sites Facebook, Instagram, and SnapChat and its approach in tackling digital addiction. Needless to say, Instagram’s, SnapChat’s, and Facebook’s latest round of updates didn’t sit well, and when this happens, users tend to flock to alternatives. Vero was founded in 2015 was founded by CEO Ayman Hariri, whose aim is to provide an advertising-free platform that is not built on algorithms (as it shows posts chronologically), rather, giving the user full control on who and how they want to share content to. As of early March this year, following Vero reported 3 million user downloads, and a climb into the top 3 iTunes social media download app charts. Prior to this, they had less than 150,000 users. Vero’s rise came after a subset of cosplay (costume play enthusiasts) community enthusiasts received their feature request for using one pinch zoom to magnify their images. Related creative communities came onboard following their exposure and, combined with their 1 million free user campaign, it has been growing ever since. Recently well-known artists and influencers such as Selena Gomez have even joined. Vero is very similar to Instagram in that it is a very image-driven platform, Beyond photos, Vero also lets you post a link, your current location, or recommendations for movies, books, and music. On the sharing side, you can control the audience of your post on a sliding scale from “close friend” to followers. You can also choose which categories of your friends’ posts you want to see; so you can use it as a bookmarking feature The app also includes chat and commenting features similar to what you find on Instagram. 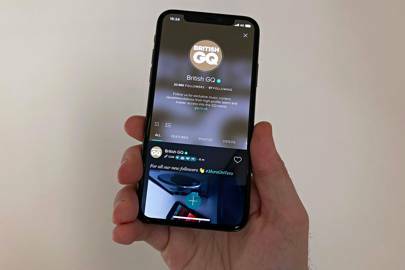 The most notable publisher onboard the app is British GQ; where they offer exclusive music content and commentary, all the latest music lifestyle news and insider access from our editors and high-profile talent. Vice News, Buzzfeed, Clash Magazine and Paris Match are also early adopters that are primarily using it for content distribution. In terms of monetization, Vero plans to rely on a soon to be released subscription plan, with a merchant fee for every product that is attributed to a sale on their app. Whilst subscriptions are now becoming the new norm for consumers, it is still early to comment on whether Vero can build the supporting infrastructure to make it a sustainable business.